It's been a tough year for Chinese tech stocks, which were torpedoed by the country's escalating trade war with the U.S. and rising interest rates. 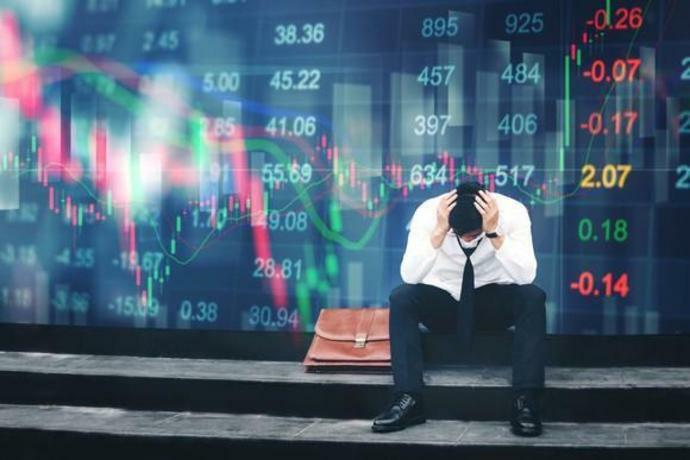 Baidu (NASDAQ: BIDU), Alibaba (NYSE: BABA), and Tencent (NASDAQOTH: TCEHY) -- the three high-growth "BAT" stocks, which were often compared to the FANG stocks in the U.S. -- each lost more than 20% of their value over the past 12 months. Investors sitting on those big declines are probably wondering if it's time to sell all their Chinese stocks. However, here are some key things to consider before heading for the exits. The trade war between the U.S. and China has caused many investors to avoid Chinese stocks, but many of the top names -- including the BAT stocks -- have limited exposure to rising tariffs. Baidu generates most of its revenue from ad sales in China, Alibaba makes most of its money from Chinese e-commerce platforms, and most of Tencent's money comes from its Chinese social media platforms (like WeChat) and video game business. Therefore dumping those tech stocks on tariff concerns alone is irrational. Selling these stocks on higher U.S. interest rates also doesn't make much sense. Some investors might want to lock in their gains and shift their money to less volatile stocks or bonds, but investors would also miss out on some big long-term gains as China's internet market continues to grow. Warren Buffett famously told investors to be "greedy when others are fearful," and the depressed valuations of many Chinese tech stocks indicate that there's plenty of fear. Here's a closer look at analysts' revenue and earnings estimates for the BAT stocks, and how they compare to their forward P/E ratios. Those forward multiples look pretty low for three leading tech stocks that consistently generate double-digit sales and earnings growth. Those estimates also indicate that analysts don't expect a prolonged trade war to significantly cripple the three tech giants. However, investors should still recognize the real threats to the BAT stocks and other high-growth Chinese tech stocks. First and foremost, the Chinese government's tightening regulation of internet companies could cause big headaches for investors. Regulators previously cracked down on "misleading" ads on Baidu, accused Alibaba of profiting from sales of counterfeit goods, and recently suspended all new video game approvals in China -- the world's largest gaming market -- much to Tencent's chagrin. Regulators also previously fined social media platforms -- like Baidu's Tieba, Tencent's WeChat, and Weibo -- over "inappropriate" content, and repeatedly banned live video streaming platforms for similar reasons. They also fined Tencent's WeChat Pay and the Alibaba-backed Alipay for breaking foreign exchange rules earlier this year. Simply put, the Chinese government could kill these top tech companies faster than any trade wars or interest rate hikes. Second, intense competition is causing the BAT companies to prioritize the expansion of their ecosystems in high growth markets -- like gaming, mobile apps, cloud services, payments, and smart retail -- over profit growth. The bears believe that this ongoing ecosystem war will last for years and weigh down their earnings, while the bulls believe that these investments will pay off over the long run. Despite those headwinds, investors should still hold on to their top Chinese tech stocks for a simple reason: They're still well-poised to profit from the long-term growth of several hot markets. Digital advertising spending in China could still rise from $61.8 billion this year to $108.3 billion by 2021 according to eMarketer and Jianshu.com. Much of that cash will pour into leading online ad players like Baidu and Tencent. China's e-commerce market could still grow from $1.1 trillion this year to $1.8 trillion by 2022 according to Forrester, which estimates that only 38% of China's population currently shops online. That leaves a huge runway of growth for Alibaba and its chief rival JD.com. Nobody ever got hurt taking a profit, and investors should consider trimming their exposure to Chinese tech stocks if they need the cash soon. But for investors with a longer investing horizon, I think it's smarter to buy these beaten-down stocks instead of selling them. Leo Sun owns shares of Baidu, JD.com, and Tencent Holdings. The Motley Fool owns shares of and recommends Baidu, JD.com, and Tencent Holdings. The Motley Fool recommends Weibo. The Motley Fool has a disclosure policy. The U.S. trade deficit fell to an eight-month low in February as imports from China plunged, temporarily providing a boost to President Donald Trump's "America First" agenda and economic growth in the first quarter. The surprise second straight monthly narrowing in the trade gap reported by the Commerce Department on Wednesday was also driven by soaring aircraft exports, which are likely to reverse after Boeing halted deliveries of its troubled 737 MAX aircraft. Economists warned the trade deficit would remain elevated regardless of whether the United States and China struck a trade deal that was to the White House's liking because of Americans' insatiable appetite for cheaper imports. China, the world's biggest energy consumer, was once seen as a "shop window" for big nuclear developers to show off new technologies, with Beijing embarking on a program to build plants based on designs from France, the United States, Russia and Canada. China signed a technology transfer deal with the United States in 2006 that put the AP1000 at the "core" of its atomic energy program. It also pledged to use advanced third-generation technology in its safety review after the 2011 Fukushima nuclear plant disaster. (Bloomberg Opinion) -- In March 2018, President Donald Trump uttered his famous declaration that "trade wars are good and easy to win." A little more than a year later, it looks as if Trump is losing the trade war he started with China.